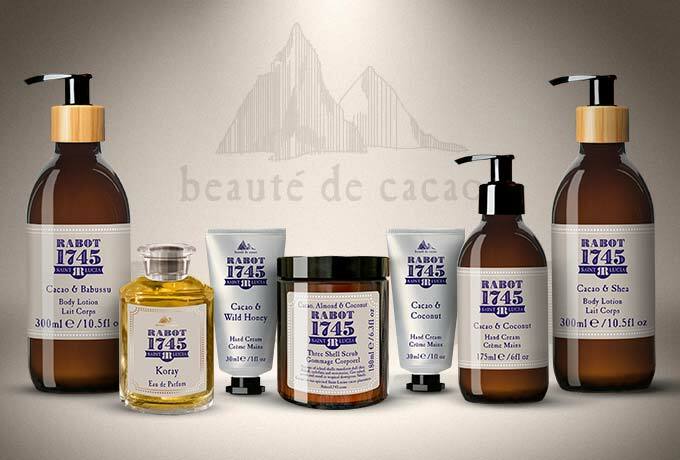 Inspired by the cocoa we grow on our estate, intensely moisturising. Slather your thirsty hands in cacao and shea butter. Wild honey adds the finishing touch. Inhale deeply. Escape to our spirited Saint Lucian cocoa estate, where nature supplies all we need.